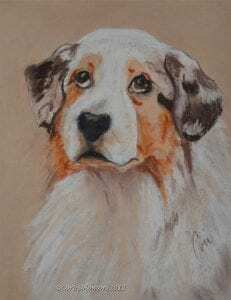 The eyes say it all on this Australian Shepherd. This drawing was created from a photo I took of an Aussie at Westminster Dog Show in 2012. This artwork comes framed and matted. To see this artwork framed click here.